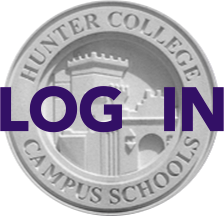 The Hunter College High School PTA will hold a reception to celebrate The Class of 2015 on Friday, June 12, immediately following the graduation ceremony (approximately 3:45 p.m.), at the Hunter College Dining Hall, E. 68th Street and Lexington Ave on the 3rd Floor. Hors d’oeuvres and soft beverages will be served. Please register by June 5. Family and friends may purchase tickets for $12 per guest. Faculty and staff are invited to attend as guests of the PTA; please register online or RSVP to gradreception@hunterpta.org. For more information, please contact gradreception@hunterpta.org. The full invitation can be viewed online here.